I don’t know about you, but sometimes I just want a perfectly grilled steak. I don’t want just any steak! I want a steak with three herbed garlic butter. Something about combination has me going back for seconds, and I’m not typically a steak person. I grew up with my daddy making steaks at least one night a week for dinner. I know it sounds like a hard life right? I guess when you have steak on such a regular basis you tend to take for granted how delicious it can be. I actually dread steak night. After purchasing my own home I mainly stick to chicken or seafood now, but about 4 times a year I just need a steak. 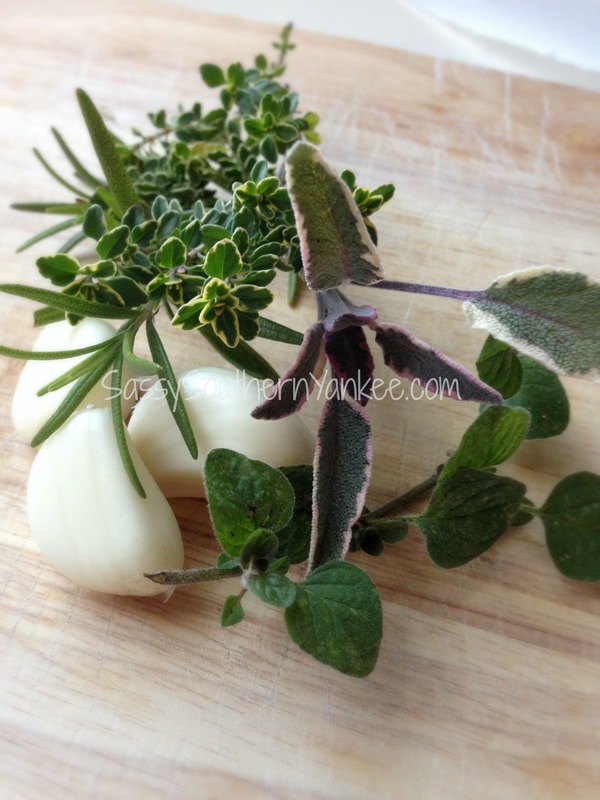 This is super easy to make and its also a great opportunity to use those fresh herbs from the garden. It’s my go to recipe for those occasional cravings. While the grill is warming remove the steak from the fridge and allow to come to room temperature about 30 min. Generously salt and pepper the steak. In a small microwave safe bowl melt the butter and garlic together. This will help soften the garlic and allow it to release its flavors. Once the butter is melted add all of the chopped fresh herbs ensuring all are coated in the garlic butter mixture. Set aside the herbed garlic butter. * If you don’t have the exact herbs listed above feel free to use whatever you have on hand. Place the steak(s) on the grill and cook until desired doneness. If you’ve never grilled a steak and need guidance feel free to let me know in the comments and I would be happy to create a “how to grill a steak” demo. Remove the steaks and place on a plate or serving tray. Evenly coat the steak with the three-herbed garlic butter. Allow the steak to rest for at least 5- 10 min. This will allow the juices to redistribute into the steak creating a juicy and tender steak. If you are worried about the steak becoming too cold feel free to make a tent with ton foil to help retain the heat. Remember to slice against the grain to have a tender melt in your mouth bite each time. I hope your family enjoys this steak with three herbed garlic butter. Pre-heat the grill. While the grill is warming remove the steak from the fridge and allow to come to room temperature about 30 min. Generously salt and pepper the steak. In a small microwavable bowl melt the butter and garlic together. This will help soften the garlic and allow it to release its flavors. 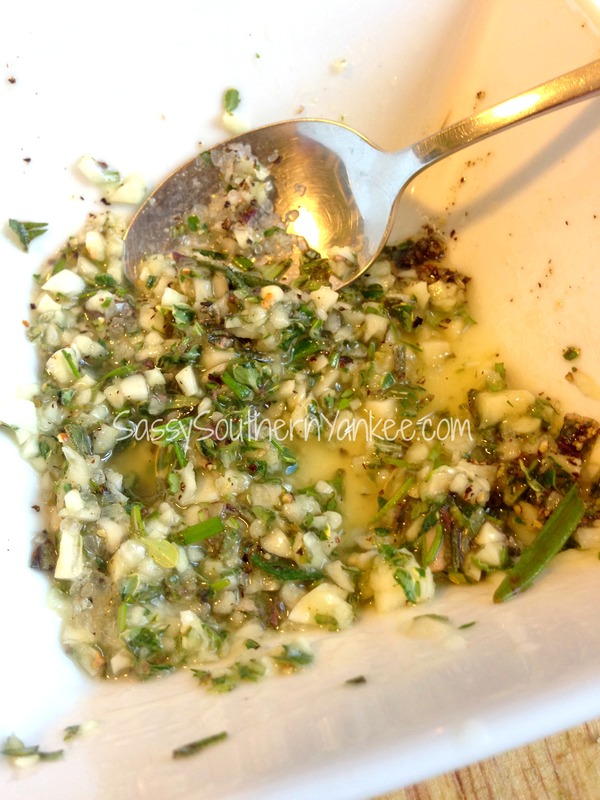 Once the butter is melted add all of the chopped fresh herbs ensuring all are coated in the garlic butter mixture. Set aside the herbed garlic butter. Place the steak(s) on the grill and cook until desired doneness. If you've never grilled a steak and need guidance feel free to let me know in the comments and I would be happy to create a "how to grill a steak" demo. Remove the steaks and place on a plate or serving tray. 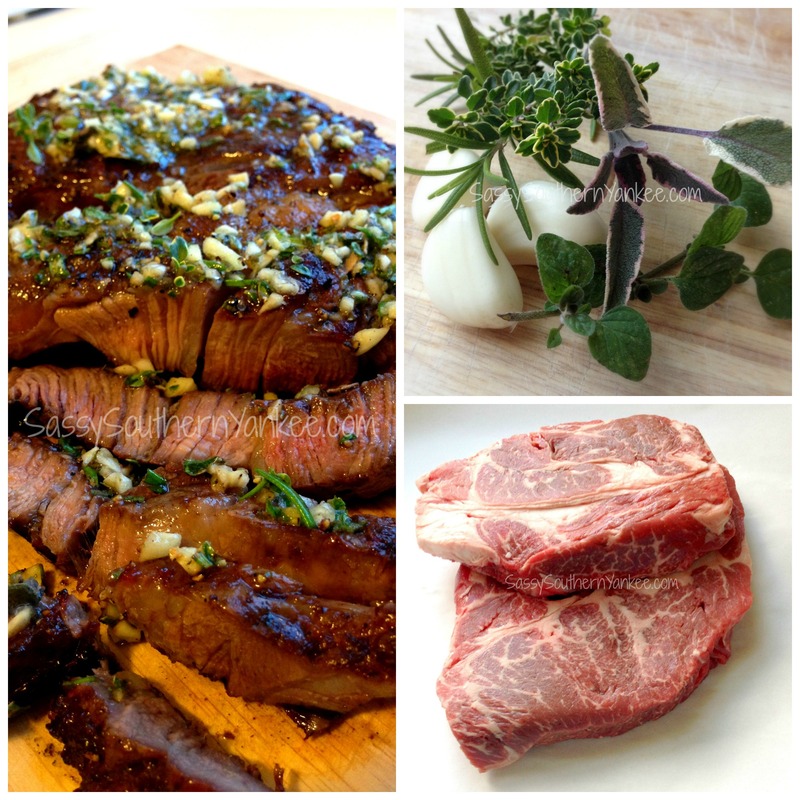 Evenly coat the steak with the three-herbed garlic butter. Allow the steak to rest for at least 5- 10 min. 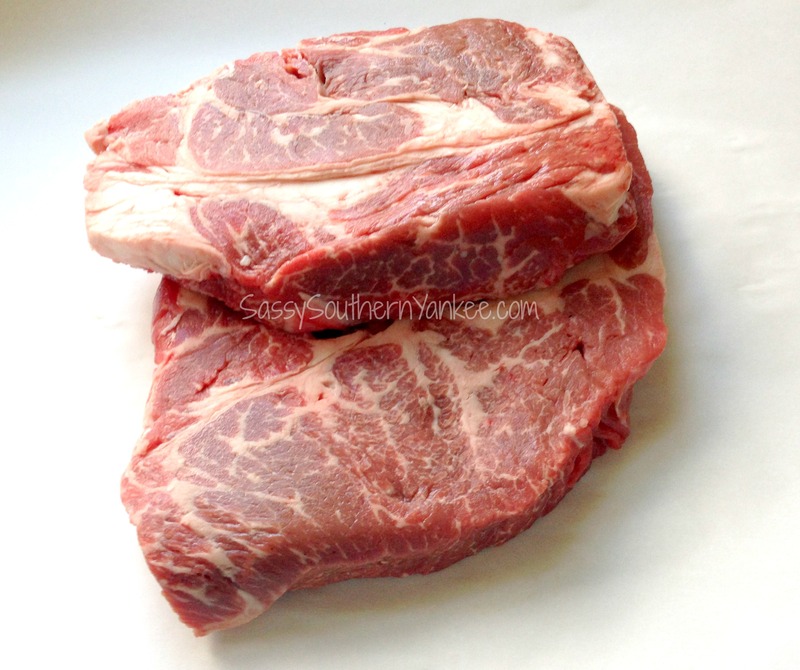 This will allow the juices to redistribute into the steak creating a juicy and tender steak. If you are worried about the steak becoming too cold feel free to make a tent with ton foil to help retain the heat. 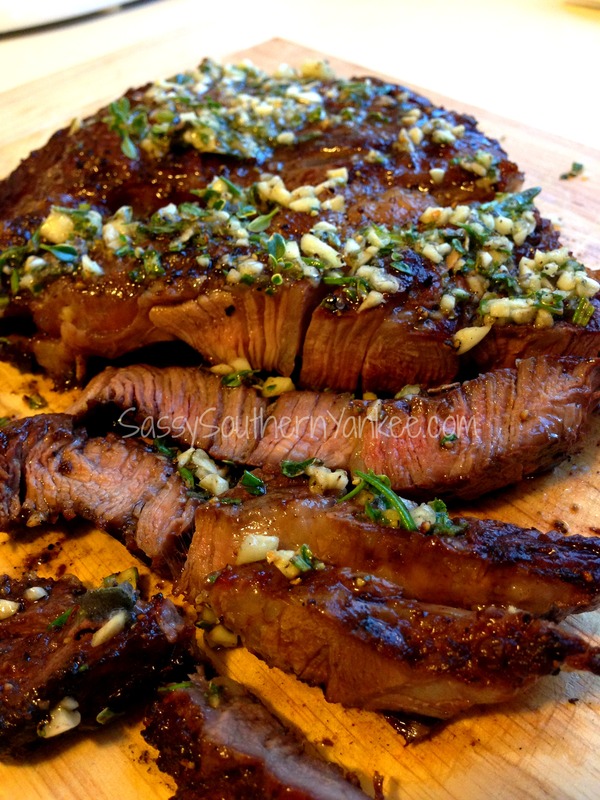 This entry was posted in Main Course and tagged BBQ, beef, Camping, Garlic, Garlic Butter, Grilling, Perfectly Grilled Steak, Steak, Three-Herbed Butter.